Medium of Instruction in English, Hindi, Kannada, Hindi, Tamil, Telugu and Malayalam. 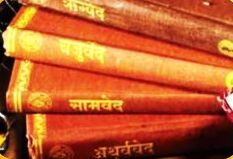 Shastras (Scriptures) in Sanskrit. Completion of all Introductory & Foundation Courses. Daily Schedules are available. Saturday and Sunday 2 Sessions are available. Send Enquiry or Contact info@paravidya.org for Class time schedule and your medium of Instruction.